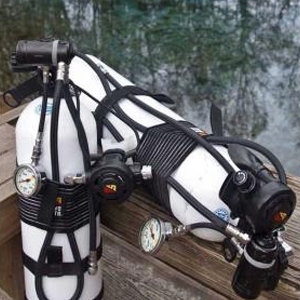 THE XT'S AMBIDEXTROUS ORIENTATION WAS MADE FOR SIDEMOUNT. 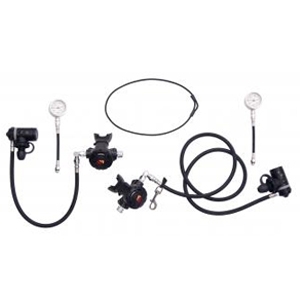 The XT left hand regulator provides the perfect hose routing for the left tank paired with our 60-inch Airflex hose and a right angle adapter. The hose no longer has to wrap around the neck where it can catch; instead the hose runs under the arm straight to the mouth using the angle adapter. The XT right hand regulator pairs with a 22-inch hose for the right hand bottle, again with an angle adapter to avoid pulling.